Alex' Maxville Toddler Activity Cube is an amazing multi-activity play center for babies and toddlers. 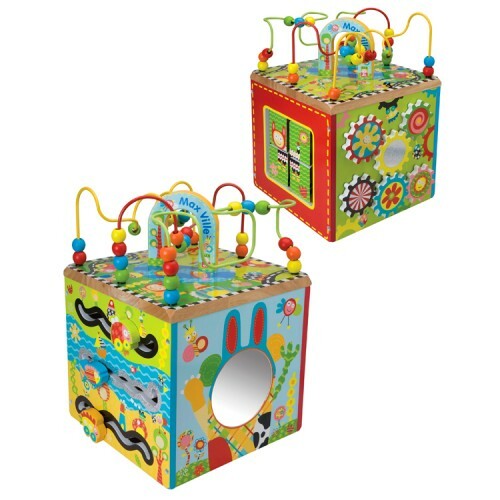 Maxville Toddler Activity Cube is an amazing multi-activity play center for toddlers. 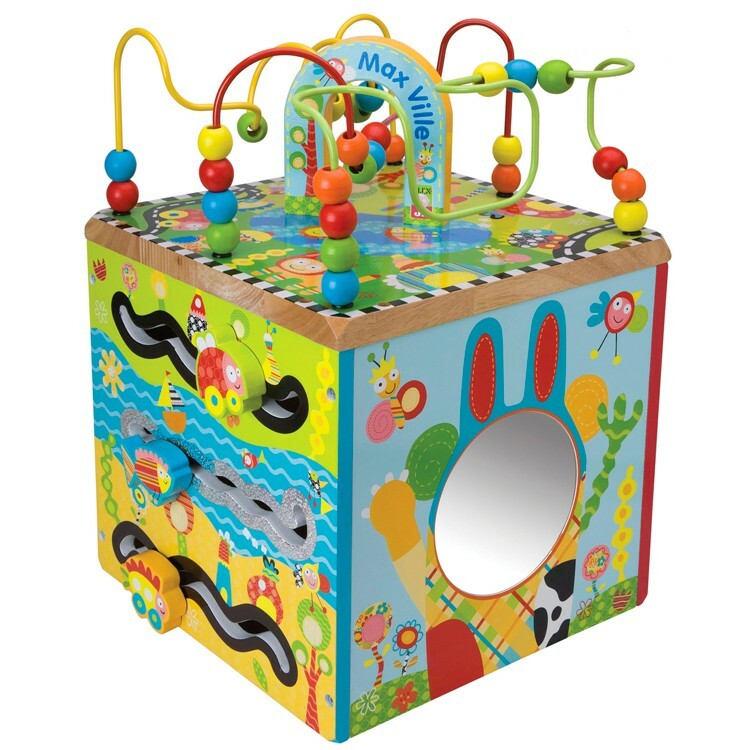 This wooden activity cube by Alex toys features a turning base, curvy bead maze, racing rollers, spinning gears, baby safe mirror and spin & match pictures. 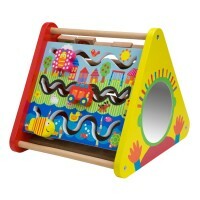 Turn the base and reach all the sides of this manipulative activity center. 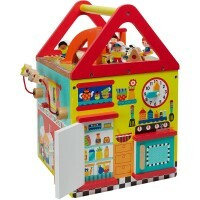 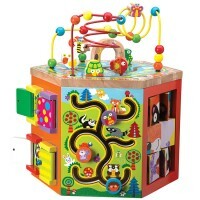 Maxville Toddler Activity Cube from Educational Toys Planet with bead rollercoaster on top measures 12 x 16.5 x 12 inches. 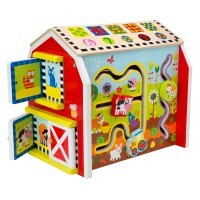 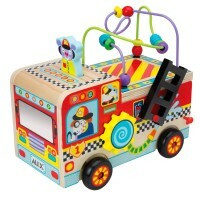 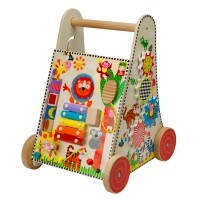 This wonderful addition to Alex' baby activity toys collection will keep your toddler busy and entertained for hours! 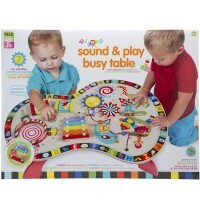 Learning fun guaranteed! 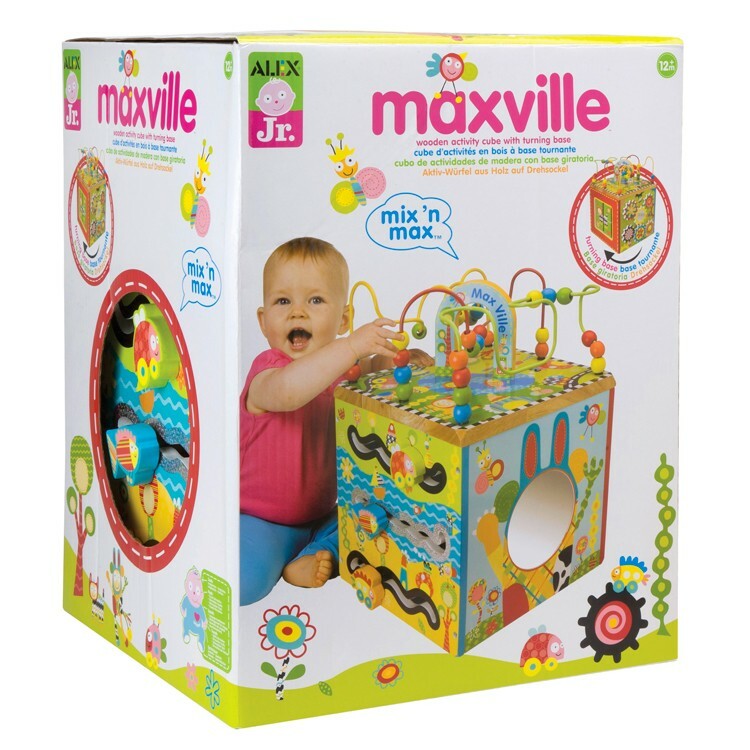 Dimensions of package 13" x 14" x 18"
Write your own review of Maxville Toddler Activity Cube.